I love the picture!! Wow, it’s awesome!! LOVE this! 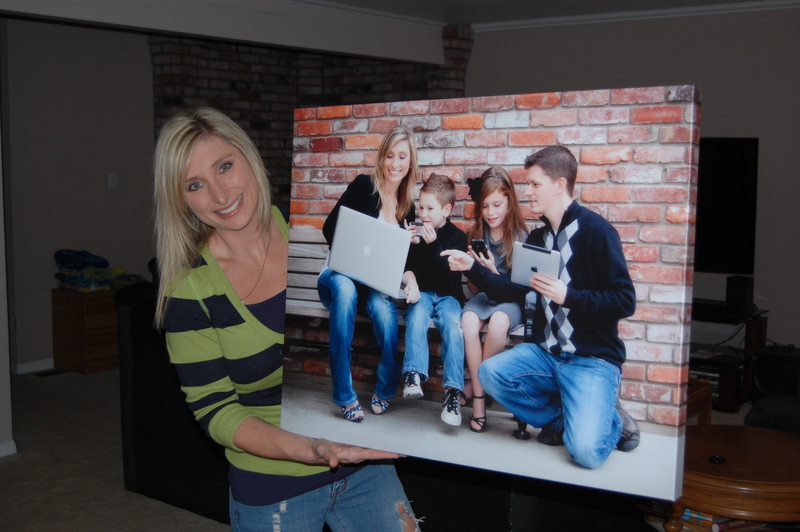 Love you guys…LOVE Roxi…LOVE canvases!! How fun! Justine, you are adorable! Thank you so much!!! Beautiful! I’m so excited for you!!! 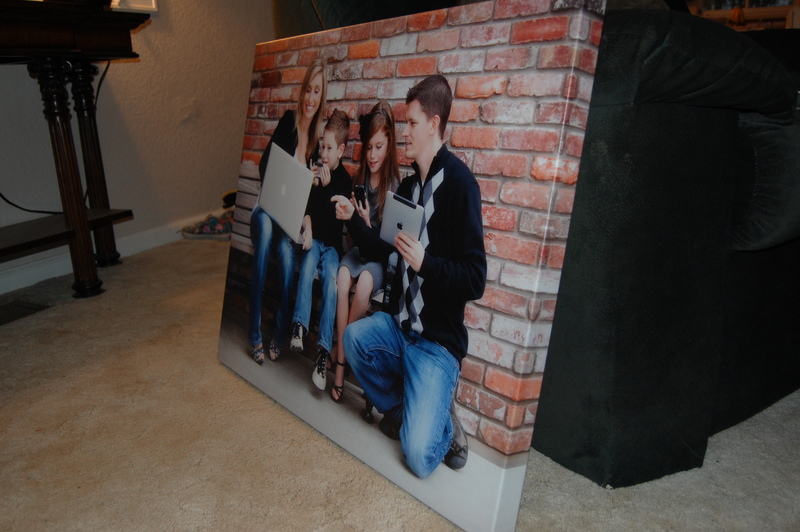 Now you have me motivated to go make some of my prints into canvases. Roxi – You are amazing! This is just another tiny display (well, this one is actually quite large) of your incredible talent! Keep shootin girl, you’ve got incredible skill!! Oh Sis, I love that picture and how incredible it looks amazing. I cannot wait to see it hanging in that staircase when we visit in June. Love You Guys. gorgeous picture of your gorgeous family. Steve Jobs should totally use you in his marketing. And very cool how it wraps around the sides! that turned out soooo nice! And I love the Apple pic! !